Matt Colville on & Beyond 10/3 at 1pm PT! 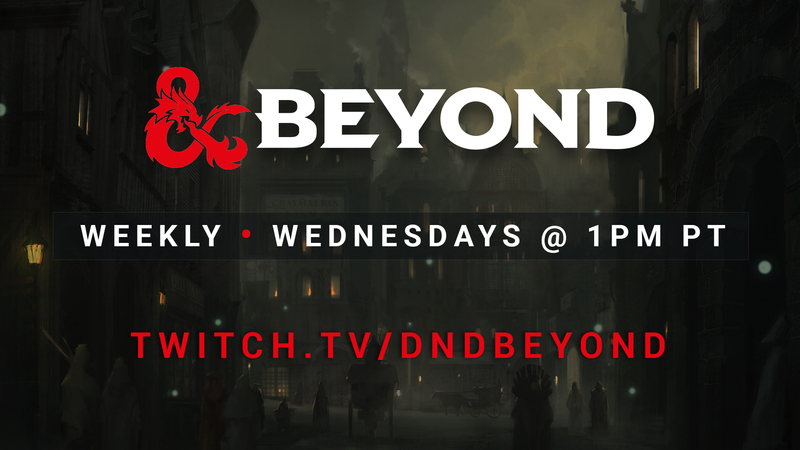 Join us for our chat with him on twitch.tv/dndbeyond on Wednesday, October 3rd at 1pm PT! If you have a question for Matt Colville please reply here, especially if you can't join us live and would like a chance to have your question answered! I will be collecting them and we will try to get through as many as possible during the interview! Will S&F come to DnDBeyond around the time of the PDF release or the physical release? Or is there some other timeline? DM of the Twitch the Fiend show. Subclasses: Path of the Marauder, Way of the Golden Fist, Way of the Yamabushi. Feats: Melee Training, Olympian Physique. Spells: Arcane Recall, Banker's Purse, Coin Shot, Moonfire Blade. I'm curious what your response to this new meta-analysis is in light of one of your recent videos?